Tecmo is still working on updating the beloved Tecmo Super Bowl and plans to release it on Xbox Live and the PlayStation Network. There is now confirmation from a source at Tecmo that they are working on a Tecmo Super Bowl update for the Xbox Live and the PlayStation network and that it is based on the SNES version of the game. No word on an NFL license, but EA has that pretty much wrapped up. The title is reported as being Tecmo Bowl Throwback and there is no word on pricing or a release date. The series has as storied history. First, there was the arcade cabinet game Tecmo Bowl and its NES port. 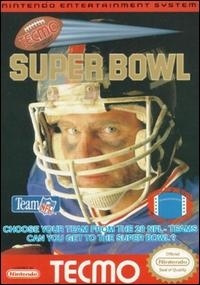 Then came Tecmo Super Bowl in 1991, and it was the first game to feature both the NFL and NFL players' license. You could play an entire season, saving an impressive level of statistics on the cartridges battery. There were injuries, passer ratings, and of course a playoff tournament resulting in the ultimate "Super Bowl." A Super Nintendo version was released in '93 which added better sound and graphics, as were other sequels, but none captured lightning in a bottle quite like Tecmo Super Bowl. The simple and fun gameplay (there are only 8 plays to choose from as compared to Madden's myriad menus) with a deep level of statistics has earned recognition (EGM, IGN and Gamefaqs all ranked it in their top 100 videogames of all time) and spawned endless modding through emulation and a huge community of players who update rosters and play each other online. Tecmo released Tecmo Bowl Kickoff for the Nintendo DS in 2008, and, at the time, said they were working on an update for the Wii. In May 2009, however, Joystiq reported that a game which was then called Tecmo Bowl Wii was cancelled and the company would continue developing a more family friendly football game to fit with the Wii's demographic. It appears that Tecmo Bowl Throwback is a continuation of that project. I, for one, wish I could play the Raiders circa 1991 and let Bo Jackson and Marcus Allen school all your asses.